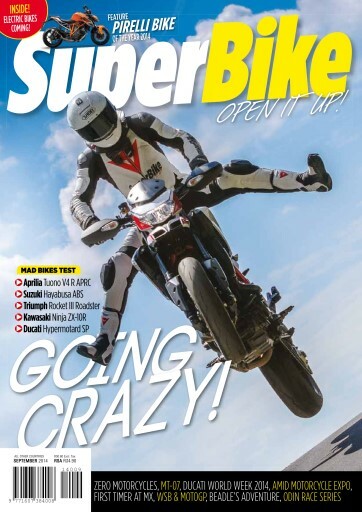 In this month we go absolutely crazy with insane bikes on test. We run a feature on the Pirelli bike of the year and cover the famous World Ducati Week event. Gareth get's his hands on a few electric bikes and bring you the low down of when these should be available for you.